Islamic prophet Muhammad, was born in Mecca about 570 AD. He belonged to the tribe of the Quraysh, who had long been guardians of the Kaaba. In the early ages, Muhammad lost his parents and obliged to earn his own living. Firstly Muhammad served as a shepherd on the hills around of Mecca. This occupation, though lowly, gave Muhammad the love of solitude and helped to cherish in his soul that appreciation of nature which later found expression in so many of his utterances. 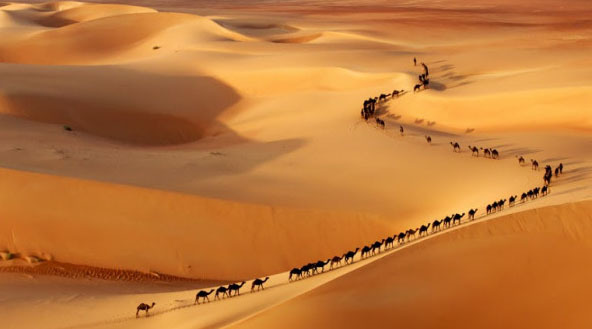 While still a youth, Muhammad became a camel-driver and he twice crossed the deserts with caravans to Syria. On this journey Muhammad made many connections with the different people and picked up much useful information. However Muhammad did not receive a regular education. At the age of twenty five he married Khadijah, daughter of the rich merchant Khuwaylid ibn Asad. Khadijah, brought Muhammad wealth and consideration. Muhammad seems always to have been a deeply religious man. As he grew older, Muhammad thoughts more and more centered on religious themes. Muhammad could not harmonize the idolatry of the Arabs with that belief in the unity of God which he himself had reached. In his distress Muhammad would withdraw into the wilderness. In the wilderness Muhammad spent much time in fasting and practices solitary. One day, so he declared, the archangel Gabriel appeared to him and bade him preach a new religion to the Arabs. According to tradition of Islam this was a Muhammad’s first revelation. It was very simple, but in its simplicity lay its strength: “La ilaha ilia Allah wa-Muhammad rasul Allah” which means “There is no god but God (Allah), and Muhammad is the prophet of God”. Muhammad made his first converts in his wife, his children, and the closest number of friends. After that Muhammad becoming courageous and he began to preach publicly in Mecca. In spite of his eloquence, obvious sincerity, and attractive personality, he met a discouraging reception. Some slaves and poor freemen became Muhammad followers, but most of the inhabitants of Mecca regarded him as a madman. 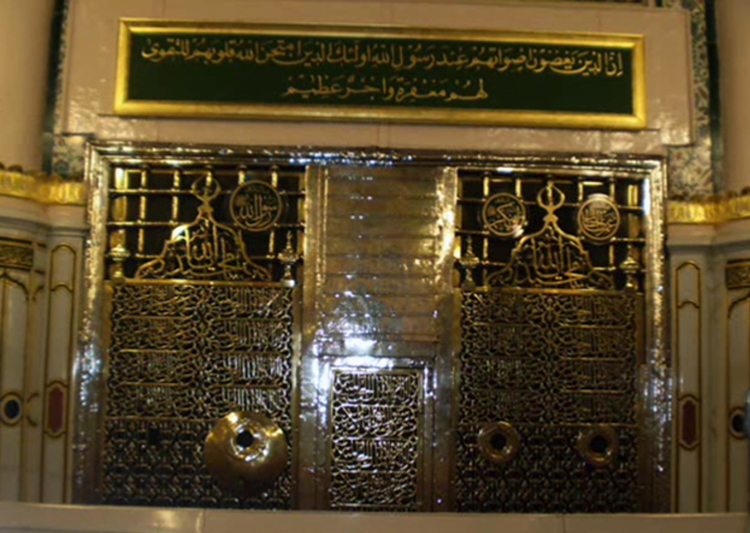 Muhammad’s disciples, called Muslim, were bitterly persecuted by the Quraysh, who resented the prophet’s attacks on idolatry and feared the loss of their privileges at the Kaaba. Finally Muhammad and his converts took refuge in Medina, where some of the inhabitants had already accepted his teachings. This was the famous Hegira or Hijrah (Flight of the prophet) took placed in 622 AD. At Medina Muhammad occupied a position of high honor and influence. The people welcomed Muhammad gladly and made him their chief magistrate. As his adherents increased in number, Muhammad began to combine fighting with preaching. Muhammad’s military expeditions against the Arab tribes indicates that was very successful. Soon after moving Muhammad’s and his follower from the Mecca to Medina, in Medina coming traders of Mecca. These traders robes inhabitants in Medina and they caravans. This conflict escalate in to open war between Mecca and Medina. At the battle of Badr 624 AD Muhammad and his followers defeated the merchants of Mecca. Muhammad finally entered into Mecca six years later in 630 AD. Many of the conquered Bedouins enlisted under Muhammad’s banner and at length captured Mecca for the prophet. He treated its inhabitants leniently, but threw down all the idols in the Kaaba. The character of Muhammad has been variously estimated. Muslim writers make him a saint but Christian writers, until recent times, have called him an “imposter.” It is known that he had simple habits, who, even in the days of his prosperity, lived on dates, barley bread, and water, mended his woolen garments, and attended to his own wants. He was mild and gentle, a lover of children, devoted to his friends, and forgiving toward his foes. He seems to have won the admiration of all with whom he came in contact. Muhammad was also deeply impressed with the consciousness of his religious mission that he was ready to give up wealth and an honorable position and face for years the ridicule and hatred of the people of Mecca. His faults – deceitfulness, sensuality – were those of the Arabs of his time.